Snohomish- No word on how “large quantities of heroin and methamphetamine from Sinaloa, Mexico” made it past federal agents massed at border crossings & ports of entry while looking for passports/enhanced & Real IDs. 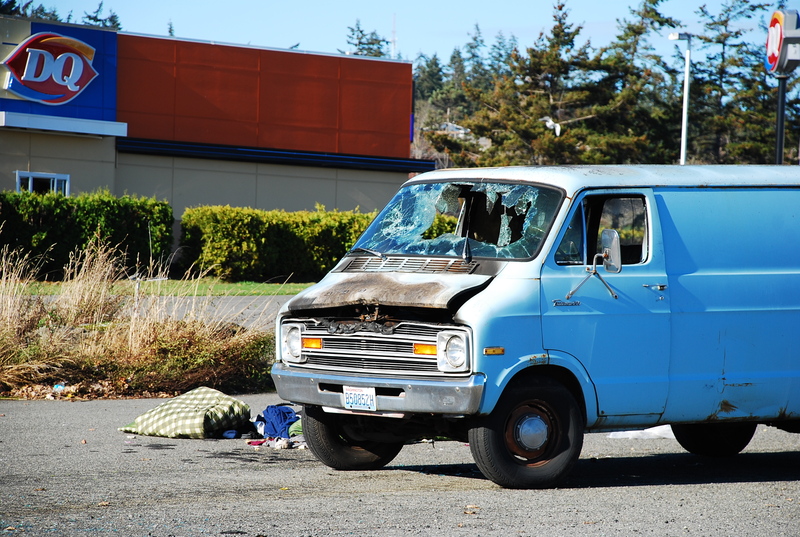 News tip/story idea: Maybe the local paper could go & interview the owner of the van in the photo above, the owner of the lot where the van is parked, local business people, local law enforcement agencies, the South Whidbey Homeless Coalition, local churches & charities, civic groups, etc. Make a real news story of it.